Enjoy one of the very affordable promo offer from TM or Touch Mobile for mobile surfing. With your 50 pesos you can register to GOSURF50 and enjoy 1GB of data for up to 3 days. You can also get 300MB of data exclusive for an app of your choice and another 2GB of data for GoWATCH where you get streaming access on YouTube, HOOQ and other online video portal. They also added unlimited texts to all networks that makes it even better value for the money you spent. 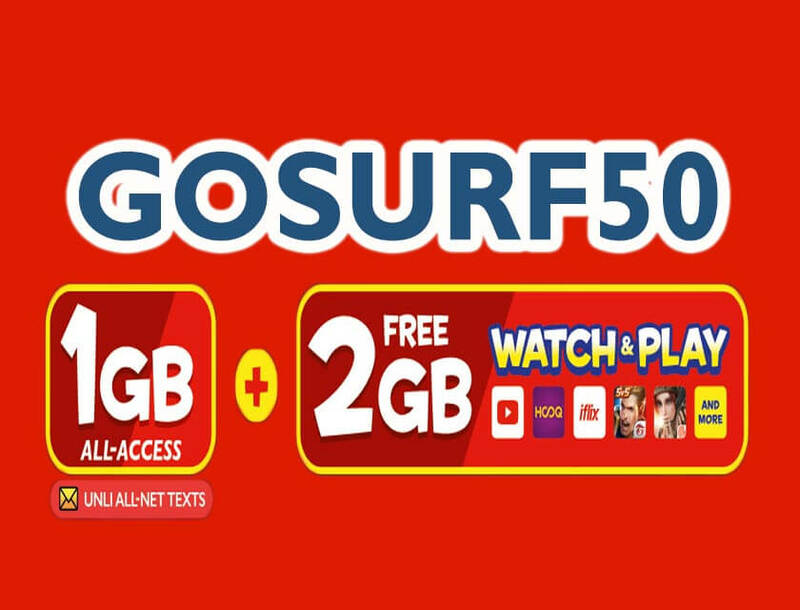 You can subscribe to TM GOSURF 50 promo via SMS keyword load conversion or by visiting your Globe/TM load retailers. You can refer to the syntax provided below or use the Easysurf 50 promo code. Just text EZ50 send to 8080. To check the status of your freebie, just text EZ50(keyword) STATUS send to 8080. To stop your subscriptions, simply text EZ50 STOP then send to 8080. Make sure to wait for the confirmation message from Globe/TM before you start using the promo to avoid unwanted data charges.